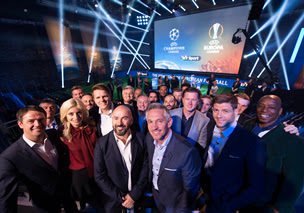 BT will continue to show UEFA matches using the latest broadcast innovation and technology, with games made available in 4K ultra high definition with Dolby Atmos sound, and via the award-winning BT Sport App. BT will enhance its social media coverage to reach new audiences, by making clips, weekly highlights, UEFA’s magazine show, and both finals available for free on social media. BT streamed both finals last year on YouTube for the first time, taking the number of people who watched BT’s live coverage of the finals to more than twelve million. The company will also seek to bring the best of the action to its large mobile customer base. The company did not specify in its early morning announcement if free-to-air coverage will continue on BT Showcase, BT's Freeview channel.